We have seen fish of all shapes and sizes come in over this past week. We have seen small fish, average fish, big fish, stringers full of fish and even a Whopper weighing 7 pounds 12 ounces come in this week. It hasn’t seemed to matter if you are out in a boat or fishing from the shore of Silver Lake this past week, things are starting to heat up as we head into the Fall fishing season. Mo Shamout hit a Grand Slam this past week when he hooked into a 7 pound 12 ounce Brown trolling a Yo-Zuri minnow. 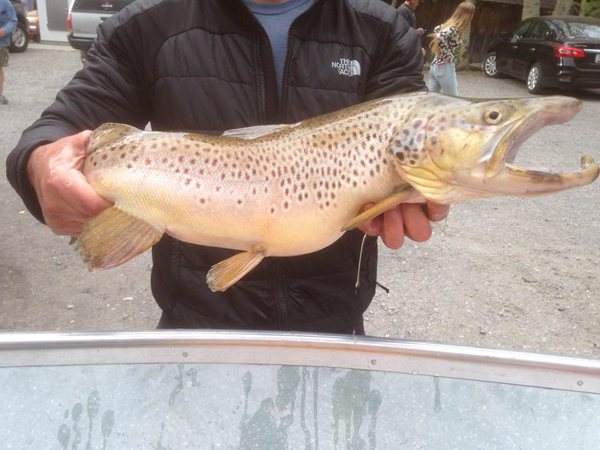 Not only a huge fish but an absolutely beautiful Brown. Fishing at the bottom of the lake continues to be the most productive but that bottom level is starting to rise as we continue to cool off into the high 30’s and low 40’s at night. Berkley products still are kings with anglers who are using Mice Tails, Pinch Crawlers and all colors of Power Baits. Thomas Buoyant Gold/Red, Kastmasters, Phoebe and Super Dupers, just to name a few, are showing some great results in Silver Lake and Rush Creek as well. 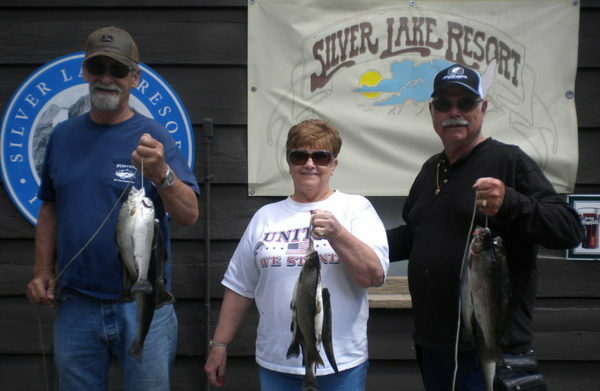 Grant Lake has also been producing some very nice fish as it continues to increase in volume on a daily basis. DFW are on schedule to hit Silver Lake and Rush Creek with another nice load of catchables this week and we should be getting a load of Desert Springs Monsters in the next few weeks after Labor Day. Speaking of Labor Day, this Saturday, September 3rd will be our Annual Chris Jones Memorial Scholarship Horseshoe Tournament and BBQ. Festivities will start about 11am with Horseshoes then about noon for Raffles and BBQ. Also don’t forget that Saturday, September 3rd is also DFW “Free Fishing” day so no license is needed thanks to our generous State of California. So no excuses not to come up and enjoy all that the June Lake Loop and Mono County have to offer!!! It could not have happened to a better person than Mo. 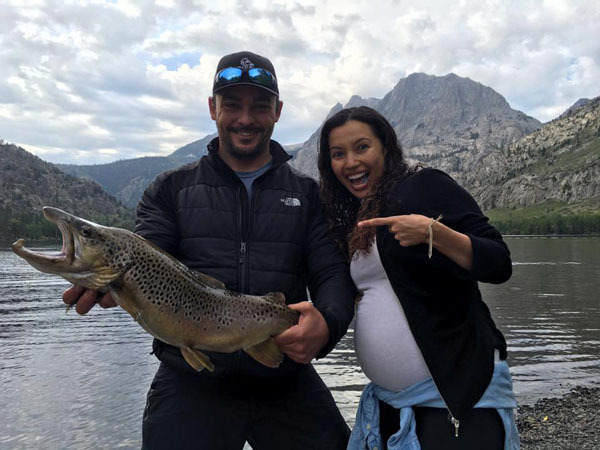 Mo Shamout of Westlake caught this beautiful Brown Trout weighing in at a whopping 7 pounds 12 ounces caught trolling a Yo-Zuri Minnow late in the evening this past Monday. The Browns and the Big Guys are starting to show themselves as we continue to cool off. Great Work Mo!!! A once in a lifetime catch!! But don’t stop trying to get a bigger one MO.